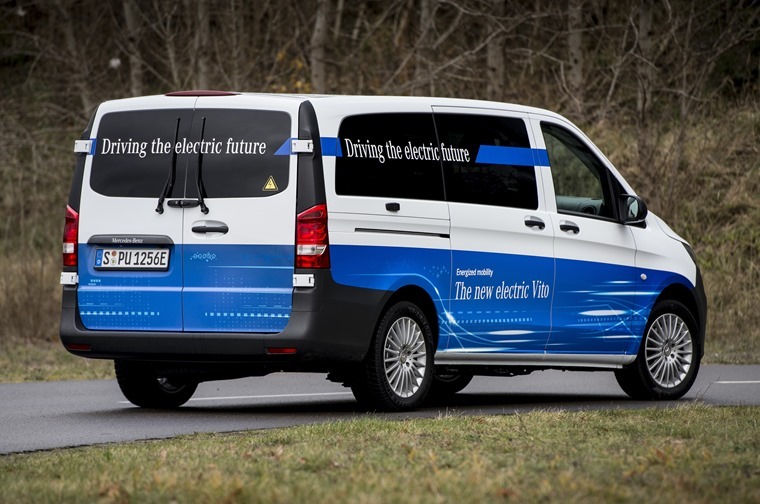 Mercedes-Benz plans to offer all its commercial vans with electric drive, starting with the mid-size eVito which will be available in the second half of 2018. 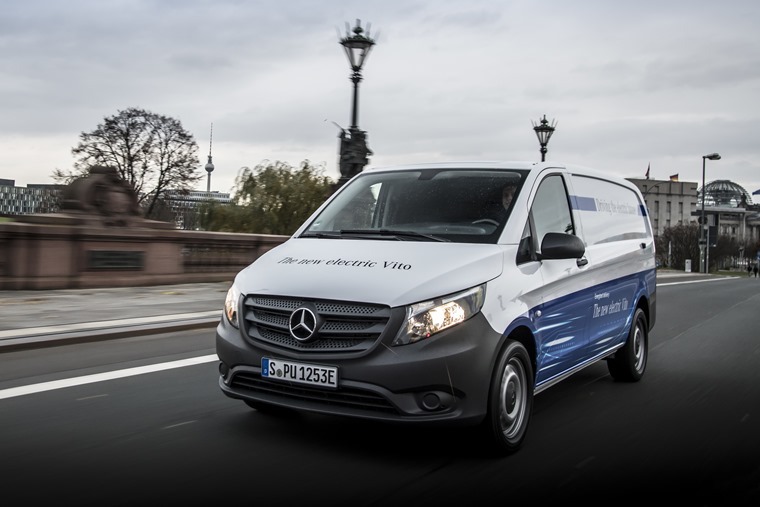 The eVito is the starting point of Mercedes-Benz Vans electrification and will be followed later by the new generation of the Sprinter as well as the Citan. The range of the eVito will be around 93 miles thanks to a 41.4 kWh battery. Even in unfavourable conditions such as low outside temperatures and with a full load, it will have a range of 62 miles, making it perfectly configured for city-centre use by delivery companies, tradespeople and public transport providers. The battery can be fully charged in around six hours, while an output of 84 kW and up to 300nm of torque delivers dynamic performance. 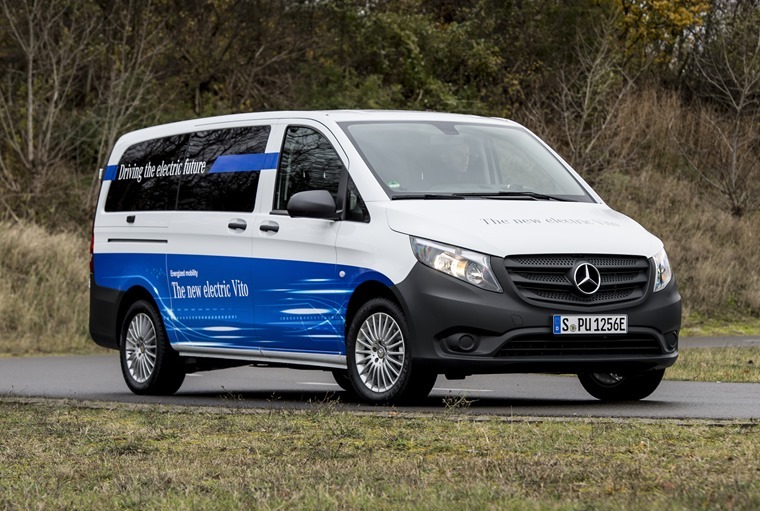 When it comes to top speed, the customer can choose between two options: A maximum speed of 49mph fulfils all requirements in city traffic and urban areas, while conserving energy and increasing range. If more speed is needed, the customer can choose a top speed of up to 74mph. Initially, the eVito will be available with one of two wheelbases. The long-wheelbase version has a total vehicle length of 5,140 mm, while the extra-long version measures 5,370 mm. The electric model demonstrates its suitability for everyday use with a generous load space, holding a maximum payload of 1,073 kg and a maximum load volume of 6,600 litres. Installation of the battery beneath the vehicle contributes to the unrestricted usability of the entire load space, with the maximum vehicle weight standing at 3,200 kg.